So many great crafts, diy projects, makeovers and recipes at the Wow Us Wednesdays party last week. Here are just a few highlights. 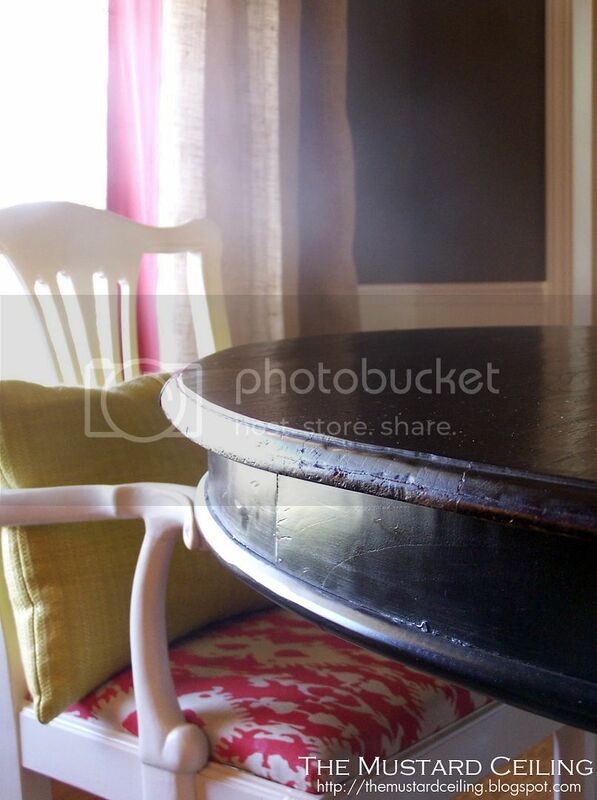 Tutorial for making this Ikat fabric at The Mustard Ceiling. Lindy hand stenciled this wonderful design. Be sure and check out how. Another great makeover on this chair by Decor and the Dog. That's My Letter created these great Ballard's knockoffs. Fresh and bright bathroom makeover at Happy at Home. I love finding new recipes and am going to make this soon. Find it at The Cozy Little Kitchen. Christie at Three Pixie Lane shares a cute idea for a party and you will love all the little details. You have got to see this home made chandelier and what it is made out of at B.E. Interiors. Thanks so much to everyone who joined the party last week. If you were featured please grab a featured button from my sidebar. I look forward to seeing what you have to share this week at tomorrow night's party. Such a lot of good ideas! Wonderful inspiration. That recipe does look good Kim! Some great projects here, Kim. I have visited some of them already! That paper chandelier is just amazing! Love them all! Thanks for sharing them. Wow, I can't wait to check out these amazing projects. Seems like the projects just keep getting better and better. Thanks for sharing. I'm inspired every week with all the talent and creativity! Thanks so much for the features here. I'm checking each one out. Thanks Kim for featuring my patchwork prints, such a great surprise. I'm all set to link up for tomorrow's party. Kim, thank you so much for featuring my recipe!! Every week I look forward to sharing on Wow Us Wednesdays and finding new friends and ideas! Isn't that chandelier project something else? I love how fresh that party looks all in green and white! Thank you for featuring my chandelier, KIM! If you were closer, I'd give you a hugmongous hug:)!